This May, President Obama issued a non-binding directive instructing public schools to permit students to use the bathroom and locker facilities that match their lived gender identity. As transgender rights increasingly appear on the agenda at school board meetings across the country, so follows the conservative outrage. Ironically, the “little child”—rhetorically huge in her smallness—has the effect of occluding actual children. When anti-trans parents rally for the protection of their children, they implicitly and explicitly vilify trans children. Indeed, any historical review of the politicization of the child will suggest that the referent for the “little child” is less relevant to these anti-trans claims than the logic-breaking surge of protection and tenderness we are supposed to feel at the sound of this phrase. To be blunt: maybe this Fairfax man was thinking of his child, but more likely he was invoking her for the convenience of calling his audience into his own prejudice. Even more deeply obscured by these appeals to the little child are trans children. When anti-trans parents rally for the protection of their children, they implicitly and explicitly vilify trans children. They mark them outside of the infantile category deserving of protection. This is particularly troubling given we know that trans people are far and away more likely to be victims of the stress, violence and self-harm produced by anti-trans environments, than cisgender people are likely to be harmed by trans-friendly environments. Seriously. How can it be that all this talk about the children fails to take into account the children? What might happen if we included them? To answer those questions, let’s look to a resonant moment in the historical archives. However, even under these conditions, the students voted unanimously in favor of Rosetta. 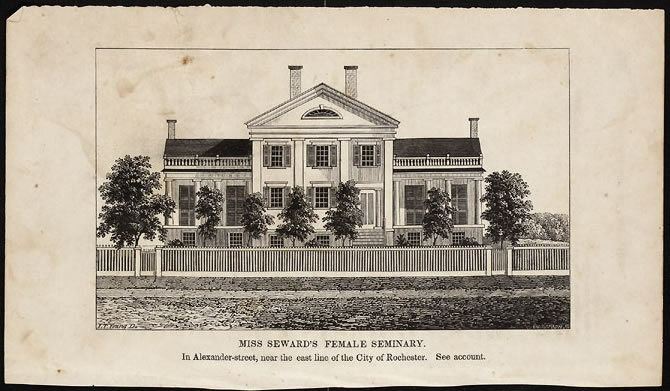 Miss Seward’s Female Seminary in Rochester, NY, was run by women and quickly rose to prominence as an institution that inculcated “an appreciation of the value of higher female education” in all those who encountered the Seminary. Tragically—but to no surprise—when this vote did not produce the result Miss Tracy expected, she withdrew the deciding power from the children and put the question to their parents. With a single parent’s vote against her, Rosetta was rejected from the school. But, despite its dismal ending, I am drawn to this moment because of how much political authority Douglass places in Rosetta’s schoolmates. He values their perspectives more than any of the other adults do, even though those other adults believe they are acting in advocacy of the (white) school children. However, these school children are not tropes; they are people. As a black man living in the 19th century, Douglass was sensitive to the political claims made by these children as other (although very differently) disenfranchised subjects. Likewise, living under forms of social and political oppression in our current moment, the trans community seems to be particularly respectful of children’s capacity to make independent, self-authored personal-political claims. 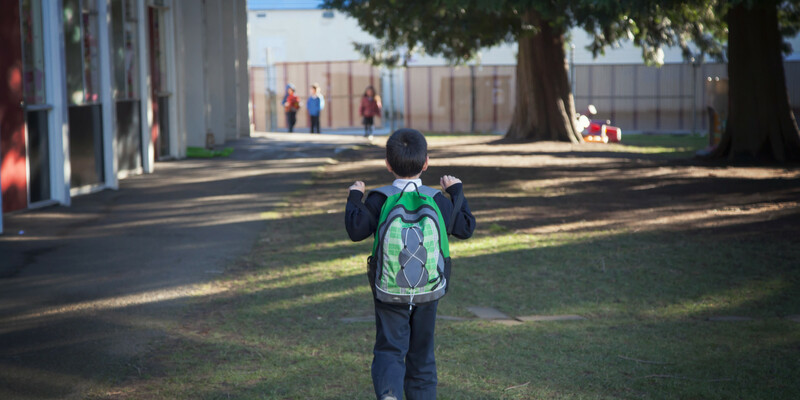 Even as anti-trans discourse attempts to marginalize and silence the trans children in our public schools, trans children have played an extraordinary role in educating the American public about gender identities. That is, a poignant genre of family narratives has emerged on the internet and elsewhere, documenting how children—sometimes barely out of infancy—have asserted a gender identity contrary to the one assigned at birth. For many of these parents, their own children provided them with their very first introduction to the concept of transgender identities. And following their children’s lead, they have rewritten their own understanding of self, gender, family, and civil rights. Within this particular genre of trans narratives, the parents of trans children over and again marvel at how early and confidently their children “knew” their true gender identities, even against every form of external pressure to the contrary. Now, I think it’s really important to recognize that these narratives are the product of the way our culture requires as a condition for entry to a discussion about civil rights that the LGBTQ community prove that their identities are “real,” in the sense that they are not simply “made up” or “a choice.” Just as social and legal progress for the gay community in many ways hinged on gay people convincing the American public that they are “born that way” and not choosing a lifestyle, the transgender community and their allies have been gaining traction in the mainstream by emphasizing how transgender identities emerge at birth. In a just world, our culture would not require these forms of proof, nor their reliance on the binary. But, as it is, the way that transgender issues have been introduced to the cultural mainstream is significant for the study of childhood precisely because this valuable political “evidence” comes in the form of the testimony of very young children. In so many of these narratives, parents quote word-for-word their children’s early assertions of their true gender, which often count among their first-ever verbalizations. The very same condition that typically excludes children from political agency—our belief that children are pre-social and irrational—in this particular context authorizes their claims as authentic and therefore politically compelling. We find ourselves in a moment in which, at the level of popular culture, the words of preschoolers might be offering the key terms for social transformation. As the families of trans kids accept the wisdom of their children’s experiences and self-knowledge, they invite the public to respect children’s capacity to know things, even things that we as adults may struggle to understand. Trans kids, their families, and their allies have much to teach, not only about gender identities but also about listening to children as people with political subjectivities.